E-commerce via Facebook and Instagram has been soaring of late, but the social network and its photo- and video-sharing network are aiming to disarm private sales of guns via their services. The New York Times reported that the social networks added private, person-to-person sales of guns to a list of prohibited sale items that already included marijuana, pharmaceuticals and illegal drugs, adding that licensed gun dealers and gun clubs are still permitted to post on Facebook and Instagram. The Times pointed out that while Facebook and Instagram were not directly involved in gun sales, the two social networks were being used to negotiate sales, minus background checks. Over the past two years, more and more people have been using Facebook to discover products and to buy and sell things to one another. We are continuing to develop, test and launch new products to make this experience even better for people and are updating our regulated goods policies to reflect this evolution. Today’s announcement is another positive step toward our shared goal of stopping illegal online gun sales once and for all. We were saying, “Please stop the unfettered access to guns on Facebook.” What they’re doing is sending such an incredibly strong, sentinel signal to the world that America is working in the right direction on guns. For them to take a stand and do the right thing gives cover to other businesses to do the right thing. Readers: What do you think of the move by Facebook and Instagram to clamp down on private sales of guns via their networks? 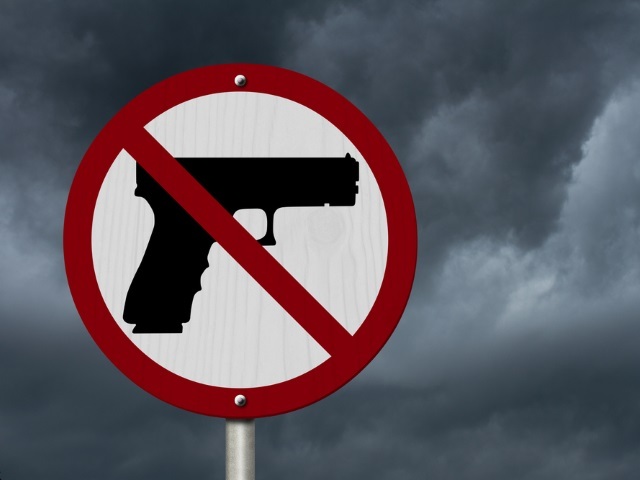 Image of “no guns” sign courtesy of Shutterstock. Image of gun group on Facebook courtesy of The New York Times.